Who can Take Back the Country? Us. Written by Andrea Morisette Grazzini. Posted on 24 Oct ’10. Filed under Citizens, Politics & Elections, Populism. Bookmark the Permalink. Both comments and trackbacks are currently closed. Politicians understand the deep doubt and sense of citizen disempowerment as at the core of populist angst. But candidates’ contrary claims to the cause of the people, begs the question, which specific people do they propose to represent? Presuming the call to “take back our country” is a sincere populist intention, not just the public front for a partisan campaign strategy, a question Atwood asks is critical: What are we trying to take back? 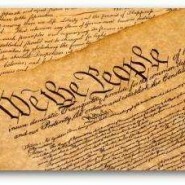 If we truly seek to reclaim our common right to liberty, or as it is often referred to, freedom, we should be aware that obtaining it demands far more than putting into power appropriately earnest leaders who will take their responsibility as public servants to our “inalienable” rights as their unequivocal job. 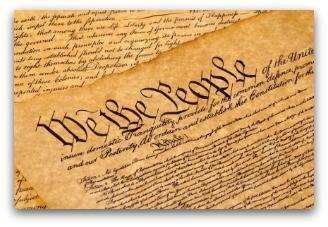 Certainly we intend to elect politicians to uphold and assert policy with due commitment to our Constitution. Only when we as citizens, regardless ethnicity, income or idealogy accept and act on what we’ve been given can we obtain Liberty. Among the most critical assets we have been given are the specifically American and collective opportunity to succeed and our specifically human and unique abilities (what Harry C. Boyte, director of the Center for Democracy and Citizenshiprefers to as civic agency) to succeed by working together–as We. Freedom, we as Americans should know better than most has never been achieved when individuals are isolated by institutional or interpersonal means or who isolate themselves from collective process. Our country tis of thee–translated, that would be us–can only be taken back when we all, from the marginalized to the powerful, see it as just what it is: Us, We, United. I envy your ability to write intelligently and to channel your voice so constructively…rationally…powerfully.